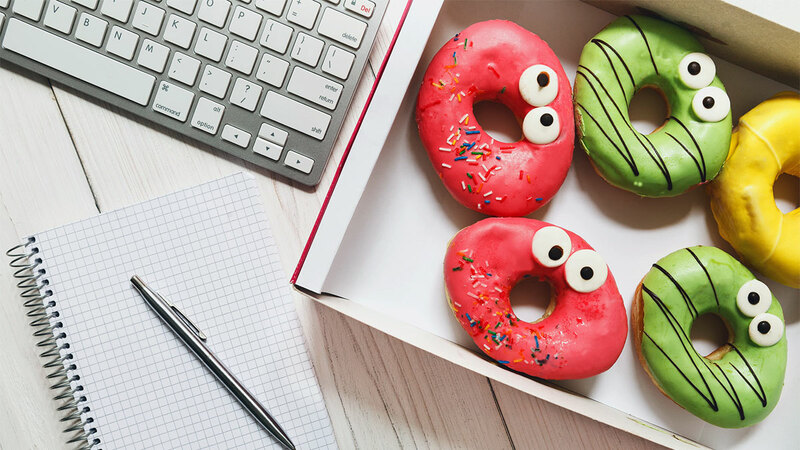 How Many Extra Calories Do You Eat At Work? You should probably give those cookies away. There's something about doing an office job that seems to make you really freaking hungry. Well, not necessarily hungry, but there's definitely something about it that makes you want to eat all the damn time. Some say it's boredom, some say it's temptation; but whatever causes it, it's extra calories you probably don't need in your life. And according to a new survey carried out by Dutch food brand Kallø, all those extra calories add up to a whopping amount every year. 100,000 extra calories per year for the average woman, to be specific. You probably just choked on your pan de sal at your desk reading that, but sadly it's true. In fact, the figure equates to roughly 50 extra days' food intake every year. Which really doesn't seem worth it when you think about it. The Sun reports the survey discovered the average woman will eat 135 biscuits, 90 slices of cake, 90 packets of sweets and 45 donuts a year at her desk. Ugh, I feel sick. The peak time for snacking was revealed to be 10:30 a.m. and 3:30 p.m., not surprising when you consider this falls perfectly into the mid-morning and the mid-afternoon lull. Fridays were found to be the day women most relaxed their healthy eating, giving into the temptation of sweet treats. That was closely followed by Monday, because who doesn't need a little pick-me-up on the worst day of the week? While we all know we shouldn't focus too much on calories—it's more important is to have a balanced diet along with regular exercise if you're trying to maintain a healthy way of life—this kind of information is a clear message that we should try to cut down on all the extra food we snack on at work. Because the chances are it's not going to be hugely nutritious, and will only end up leaving us feeling sluggish and tired (far from productive). But if, like many, you wouldn't be able to get through the day without a bit of snacking, take a look at our list of simple snack swaps to make your diet instantly healthier.